The strength sports are one of the oldest forms of athletics. They were used in earlier times for recreational purposes when a champion and a challenger were set up against each other with only their brawn as their weapon. More such games and competitions were part of medieval and early sports. The mythologies and folklore often tell stories of men and gods with superhuman strength who accomplished great deeds. Hercules will be a great example of that; so will be Atlas, who basically carries the heavens and earth on his shoulders. That is some serious strength there! In the current era of codified sports, strength athletics has taken regulated and organized form, but they are nevertheless inspired by the rustic ones of the previous centuries. There are a number of games, competitions, and championships of old traditions and new that happen in various places – celebrating the sheer strength of muscles. The Highland Games are strength sports events organized in Scotland and some other places during spring and summer to celebrate the age-old Celtic and Gaelic cultures. Along with bagpipes and drums and lots of drinking and dancing, heavy power athletics take center stage – caber toss being the main one where a long pole or log is to be turned so that the smaller end, with which the competitor starts to stand at a 12 o’clock position with the sun on the ground. Stone Put, Weight Throw, Maide Leisg and Scottish Hammer Throw are some of the other strength sports that are played. The World’s Strongest Man is yet another strongman competition, organized by TWI, an IMG Media company. It takes place at December end every year. 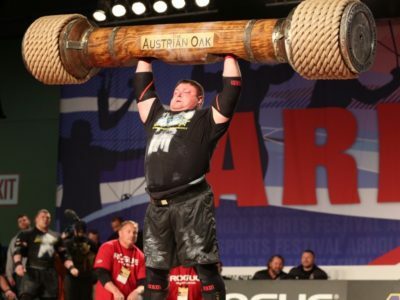 It is like the Olympics of Strongman sports, where more events than one can expect to exist are there for the most powerful men in the world to participate and win. There are comparatively lighter ones like Loading Race and Atlas Stones, named after the Greek god previously mentioned; difficult ones like Power Stairs; and the heavier than heaviest events – the 500 Kg straight off the ground – Dead Lift. In 2015 for the first time, Norse Hammers was introduced where the participant has to flip three 350, 365 and 380 pound hammers like that of Norse god Thor, and prove himself worthy. The Strongman Super Series was introduced in 2001 as the strength sports enthusiasts believed that they also should have an internationally recognized ‘tour,’ like the other individual sports. They follow Grand Prix rules and much like the other sports; they run high-profile tournaments throughout the year to announce the World champion in the end. This event had its last outing in 2010 and has now been replaced by Strongman Champion’s League – also a Grand Prix following similar rules and patterns. 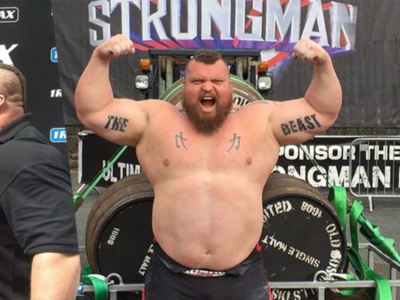 The Arnold Strongman Classic is an annual competition of similar kind created by Arnold Schwarzenegger and Jim Lorimer to find out the strongest man in the universe. But unlike the World’s Strongest Man competition, which focuses more on endurance and strength, this one prefers to use heavy instruments. The Arnold Strongman Classic is an annual competition of similar kind created by Arnold Schwarzenegger and Jim Lorimer to find out the strongest man in the universe. Read about dangerous strength sports that one needs to be cautious when working out.